The Asian and Indian diaspora is a rich repository of cultural landscapes with its diverse races, culture, ideologies and settlement patterns set across a wide range of geographical settings. The Ministry of Culture, India defines Indian Cultural Landscape as ‘a living, dynamic manifestation of the harmonious co-existence of cultural ideologies with its natural environment and setting.’ However, the full potential of cultural landscapes in India and Asia remains largely unexplored presently. 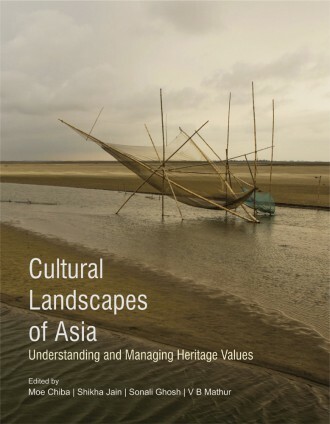 This book on cultural landscapes in Asia is first of its kind, with a special focus on the Indian context to examine landscape linkages across national boundaries and to understand the synergy between nature and culture within and beyond the framework of UNESCO Operational Guidelines for World Heritage. The book covers cultural landscape attributes and values in various manifestations and at multiple scales – local, national, regional and global. It also attempts to identify typologies of cultural landscapes in Asia and presents the negotiations between nature, culture and community with respect to the management of these sites thus focusing on new directions in the conservation of nature and culture. It is one of the first publications on Indian cultural landscapes looking at typologies. documentation, protection and management of this category of heritage. Ms. Moe Chiba is Section Chief and Programme Specialist for Culture in the UNESCO New Delhi office since 2006 responsible for Bhutan, India, Maldives and Sri Lanka. During her tenure, UNESCO office spearheaded multiple programmes aimed at inscribing culture and heritage into development agenda, namely Indian Heritage Cities Network, Culture-Based Rural Livelihood Development and Participation of Persons with Disabilities in Cultural Life. Dr. Shikha Jain is Director, DRONAH with vast experience in cultural heritage of India that ranges from steering conservation and museum planning projects for various state governments, central government and international organisations. She was Cultural Heritage expert from India for the UNESCO World Heritage Committee during India’s elected term in the Committee from 2011-2015. She is the Asia-Pacific Regional Coordinator for International Scientific Committee ICOFORT, ICOMOS. Dr. SonaliGhosh belongs to the Indian Forest Service and has more than 18 years of work experience in the field of forest and wildlife conservation in India. She has been on the management team for Natural World Heritage Sites of Manas and Kaziranga, Assam State Zoo and Protected Area of Chakrashila Wildlife Sanctuary in remote Northeast India. She is involved in Capacity Building of UNESCO Category 2 Centre on World Natural Heritage Management and Training for Asia and the Pacific Region at Wildlife Institute of India, Dehradun. 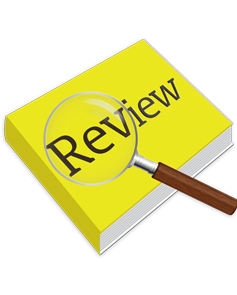 write a review (CULTURAL LANDSCAPES OF...) Please Login!